From its origin, the fostering of greater international collaboration has been a central objective. For example, the Colloquy has a membership in the University of the Arctic. The Colloquy meets biennially at venues by tradition alternating between Europe and North America. For more background information, please see “A Brief History of the Polar Libraries Colloquy/Northern Libraries Colloquy“. Colloquy proceedings are published and are available from Colloquy host organizations. For availability of past proceedings, please see the past colloquies and proceedings page. 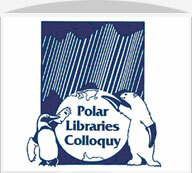 The Colloquy also publishes a newsletter, Polar Libraries Bulletin (usually two issues per year) and Polar and Cold Regions Library Resources: a directory . Members of the Colloquy help to maintain a web site called Polar Web. The Polar Web is a collaborative project of the Polar Libraries Colloquy and theArctic Centre at the University of Lapland, a research and science centre located near the Arctic Circle. The Polar Web offers a guide to Internet resources dealing with the lands and waters surrounding the North and South Poles, as well as other cold regions of the Earth. All subject disciplines are covered from the physical and life sciences, through the social sciences and native peoples, to engineering and technology. The Colloquy’s email discussion group, pollib-L, is a moderated mailing list and discussion group intended primarily, though not exclusively, for Colloquy members. To participate, you must subscribe. By clicking on the pollib-L link noted above, you will find information about posting and subscribing to the list. This is a closed list, which means that any request for subscription will be held for approval. Requestors will be notified of the list moderator’s decision by email. pollib-L is housed on the University of Calgary’s mailserver. The Polar Libraries Colloquy Weblog provides a forum for discussion of issues of interest to Colloquy members, as well as others concerned with the collection, preservation, and dissemination of polar information. Items will be posted regularly and commentary is encouraged. You do not have to be a member of the Colloquy to post a comment, but all comments will be moderated before they are posted to this weblog. An RSS feed is available.